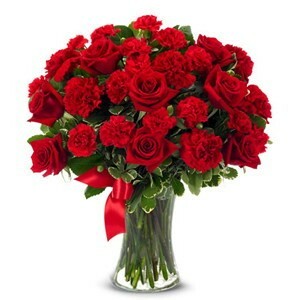 Let your special someone know that they are in your heart, with a hand delivery of red flowers. The You're In My Heart bouquet is created with fresh red roses and red carnations. It is a perfect way of sending your heartfelt emotions.